We finally purchased our Eurostar tickets for a trip to Brussels! I wish we had done it sooner because the prices went up from the low of £69 round trip (per person) and we ended up paying £89. However, it was tough to commit to a day. Anyway, by the time we purchased them on Monday, the prices were even higher for our original itinerary which had us leaving london at 9am (arriving in Brussels at 12pm) and coming back from Brussels at 6pm and arriving in London at 7pm. So now, instead, we will be leaving london at 11am and arriving at 2pm, and then leaving from Brussels at 7pm and arriving back in London at 8pm. This gives us 5 hours to eat, explore, and people-watch. Part of the reason it took us a while to commit is because we considered venturing further into Belgium and spending the day in Bruges. 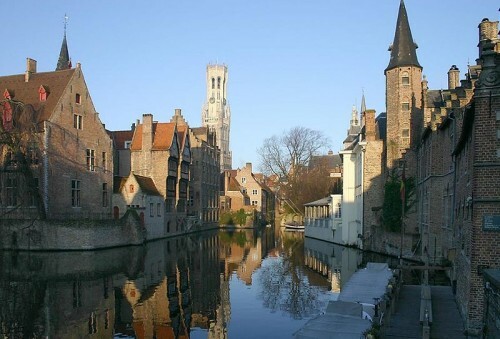 The city looks enchanting, with canals winding through the neighborhoods (see picture below, taken from wikipedia). However, the extra travel time was a bit too much, so Bruges will wait for another trip. So, we now have tickets to Brussels and nothing much planned. 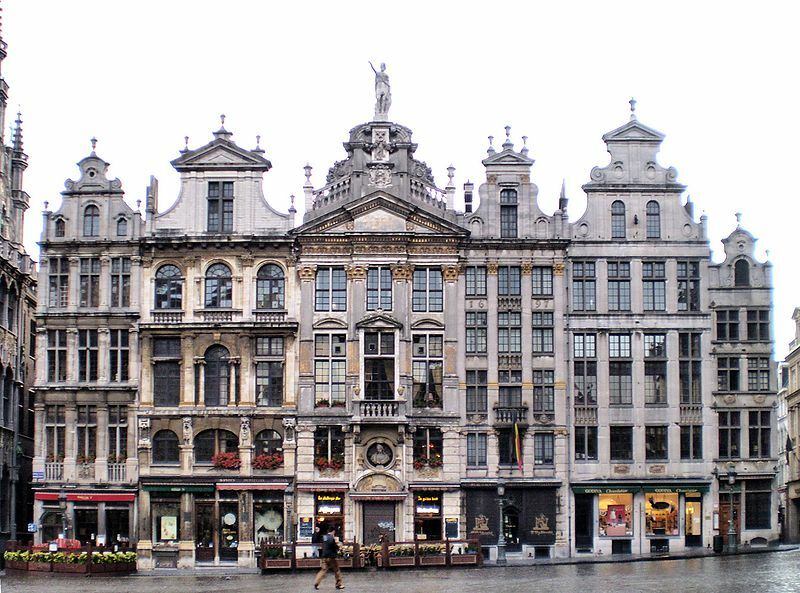 Much of our time will be spent around the Grand Palace (below, picture taken from wikipedia), which is the main square in Brussels. I’m excited to try the famous Belgian mussels, chocolate, and beer! Ryan has been researching the beer and Trappist beer kept coming up as the star of the show. There are only 8 Trappist abbeys that brew the beer and 6 are in Belgium. 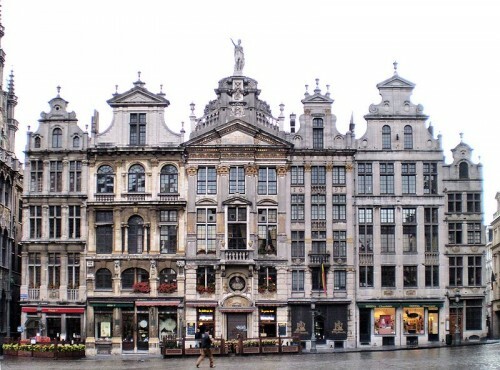 Brussels is definitely a great place to try it! I don’t know much about it, but I’m always open to trying a new beer. So this is how we’ll be spending the majority of our 4th day in London – enjoying food and beer, just across the Channel. This entry was posted in Travel and tagged Belgium, Brussels, day trip, London 2012 Trip, travel planning by Kristin. Bookmark the permalink.